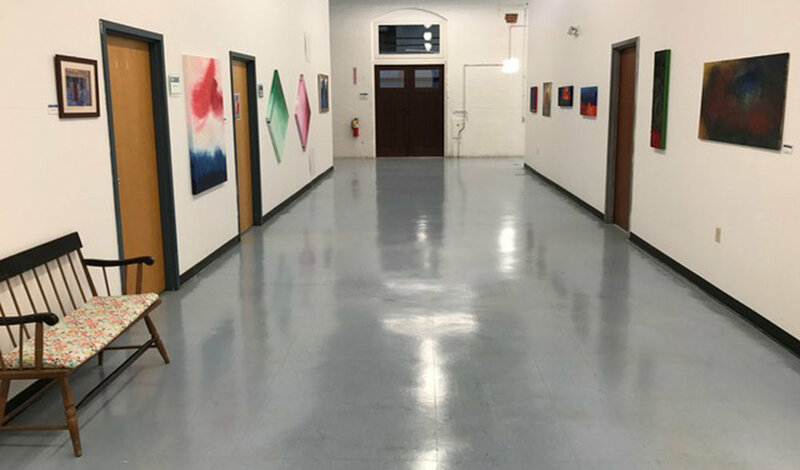 In February 2019, Rebecca Zablocki, EC-CHAP Artist in Residence will be launching the “Dye & Bleach House Community Gallery”, a gallery space where the works of local and regional artists can be displayed and viewed by the public at no cost. A variety of creative programs, workshops, classes, are also being planned as part of a unique educational exchange. Visit www.ec-chap.org for more information. We have scheduled monthly "Information Exchange Meetings" to review our mission, discuss membership benefits, and review programming opportunities and support. We are very interested in obtaining your input and feedback with respect to how we can best meet your interests and needs as a cultural organization. These meetings are free to attend. This meeting will be held in The Packing House at The Mill Works, 156 River Road, Willington, CT. Refreshments provided. For more information, please call 518-791-9474, or email us at info@ec-chap.org. Spring 2019 "First Sunday at The Mill Works"
Come join us on Sunday, April 7th from 1:30pm to 5:00pm for the 2019 Spring Season “First Sunday at The Mill Works” sponsored by the Eastern Connecticut Center for History, Art, and Performance (EC-CHAP)! Join us for an award presentation by the CT DECD, State Historic Preservation Office and overview of the 2018 “Good-To-Great” grant. 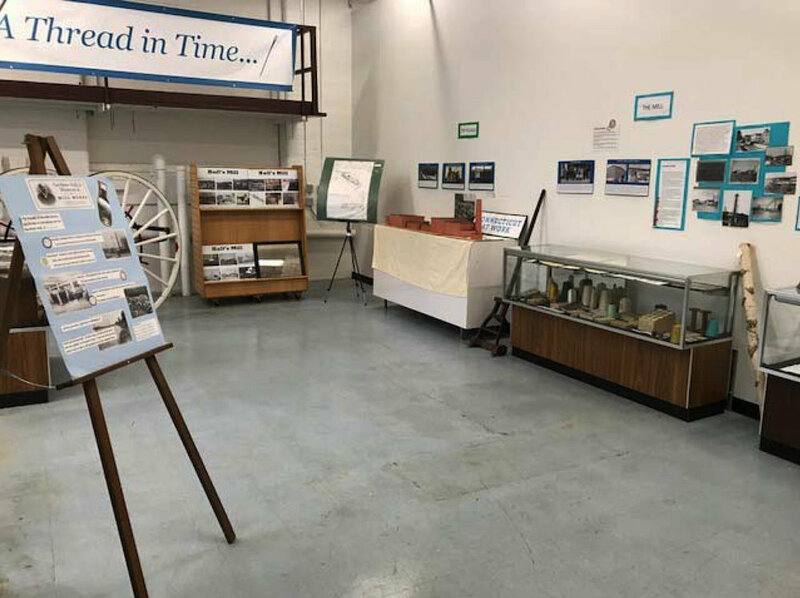 Participate in an interactive historical discussion and presentation by local Historian, Richard Symonds; debut of the new “Dye & Bleach House Community Gallery”, with EC-CHAP Artist In Residence, Rebecca Zablocki; and listen to live jazz in The Packing House by “Straight Up Jazz” . Throughout the afternoon, stroll through The Mill Works Creative Community open studios; explore the exhibits in the Gardiner Hall Jr. History Museum. ; and enjoy period refreshments typical of the mid 19th century with us at this local historic landmark. 2:00pm - DECD State Historic Preservation Office, “Good To Great” Grant Award Presentation and Overview. Location: The Packing House (Bldg-1, Floor-3). 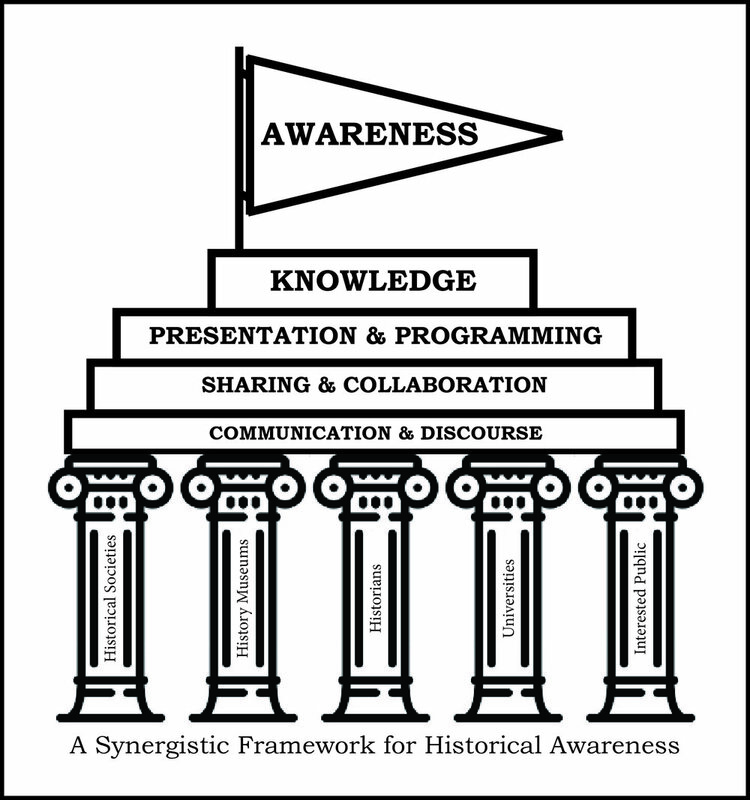 3:00pm - History – “Raising Historical Awareness: An Approach to Collaboration & Programming”. Presenter: Richard Symonds. Location: The Packing House (Bldg-1, Floor-3). Mr. Symonds has had a passion for how the environment is used to support man's needs, particularly the land and water resources. His unique educational background, work experience as a land use planner, interest in land use history, and military experience has led to his work on the evaluation of water powered mill sites. Mr. Symonds is a graduate of Syracuse University with a degree in geography, specializing in historical and regional geography and map making techniques. He served as a U.S. Army Infantry officer, retiring from the Army Reserve as a Captain in 1968. The majority of his professional career was spent as a planner for the State of Connecticut though his retirement in 1992. 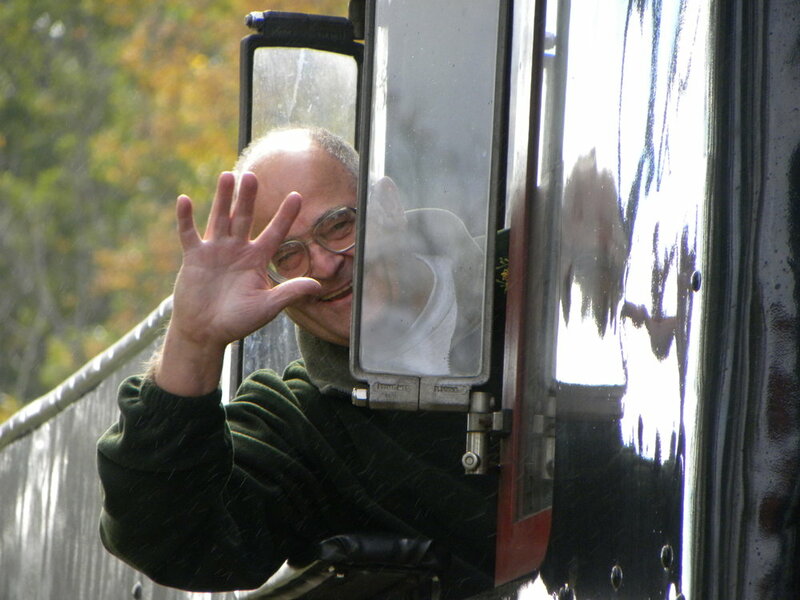 Since retiring he has written numerous history books including three relating to water use and water powered mill sites. Mr. Symonds has been involved in local community service in Tolland serving on the Town Council, Conservation Commission, Water Commission, Historical Society, volunteer fire department, and as Town Fire Marshal. Mr. Symonds will discuss historical research and challenges faced as a practitioner. A Framework to raise historical awareness through ongoing discourse and collaboration will be presented. Ms Zablocki, originally from Long Island, NY, completed her Bachelor of Fine Arts degrees from the University of Hartford’s Hartford Art School as a printmaker. After graduation in 2014, she returned to NY for a year where she worked in a gallery and art studio, teaching and managing the space. She currently holds the position of Assistant Director of the Gallery and Gallery Store at the Worcester Center for Crafts, Worcester, MA. Rebecca is completing her second year as an “Artist In Residence” (AIR) at EC-CHAP, and has recently developed and serves as Director of the new "Dye & Bleach House Community Gallery" located at The Mill Works in Willington, CT.
Rebecca will debut and provide an overview of the Dye & Bleach House Community Gallery, developed as a platform for local and regional artists to display their work for public view. This gallery provides an opportunity for emerging and established artists of all ages to obtain public exposure of their creative work. Weekly hours of operation will be announced at this presentation. There is no cost to display in the Community Gallery. 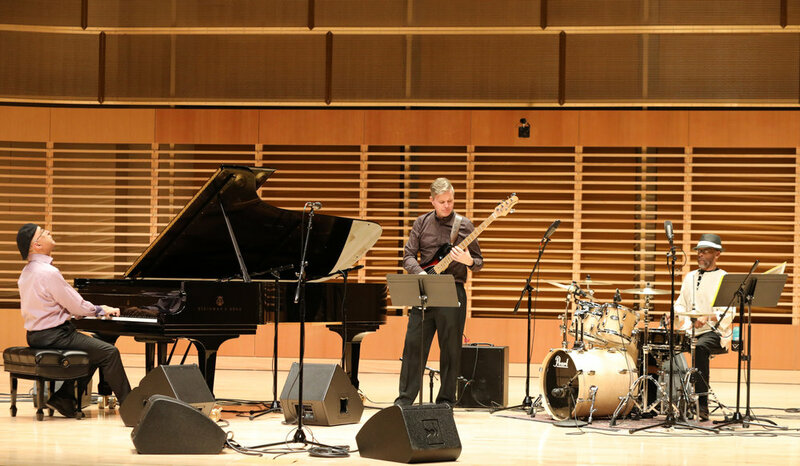 4:15pm - Performance – Jazz Trio, “Straight Up Jazz ”. Location: The Packing House (Bldg-1, Floor-3). The Straight Up Jazz Trio has been playing together since 2014. The trio format is a special ensemble in jazz, with a tradition going back to the early swing era. With a basic instrumentation of piano, bass and drums, the musicians can explore and reinterpret music spontaneously. Trios led by Bud Powell, Bill Evans, Ahmad Jamal, and Keith Jarrett have often been on the creative forefront in jazz, and continue to serve as an inspiration to contemporary musicians. The Straight Up Jazz Trio continues in that tradition, playing material from the standards repertoire in an expressive, adventurous, and visceral manner. Pianist ANTHONY CORNICELLO is a Professor of Music at Eastern Connecticut State University, where he has taught jazz piano as well as directed the Eastern Jazz band. Anthony has been involved with jazz since the 1980s, leading his own ensembles and playing with avant-garde groups such as “Inside/Out”. RICK O’NEAL is a Bass Player for a few regional band including Delta Generators, ONeal Armstrong and Straight Up Jazz. Rick has appeared at the San Francisco and Montreal Jazz Festivals, and has opened for Etta James and BB King. He is now an adjunct Professor at Eastern Connecticut State University. Drummer VENLO ODOM has been a professional musician for over 40 years, playing with Barry White, The O’Jays, John Lee, Jimmie Smith, amongst others. He has played in major venues, including B.B. King’s (NYC), The Apollo Theatre and Mohegan Sun’s Wolf Den, and has appeared on many recordings. Venlo is currently working towards a BA in Music Performance at Eastern. Learn about EC-CHAP and how you can become involved in your regional cultural organization. Our Volunteers will discuss the benefits of membership and how you may share your skills and talents through our volunteer program. We seek your input and suggestions, and how we may best meet your needs. The Mill Works is located at 156 River Road, Willington, CT 06279. For more information, please call 518-791-9474. The Information Exchange Meeting scheduled for tonight has been CANCELLED due to the predicted storm. The EC-CHAP currently operates the Gardiner Hall Jr. Museum, an Artist in Residence (AIR) Program, and hosts an assortment of performances and events at The Packing House, all located at The Mill Works in Willington, CT. Plans are under review to develop a formal gallery / exhibition space where the works of local, regional, and nationally known artists can be displayed. A variety of creative programs, workshops, classes, are also being planned as part of a unique educational exchange. Visit www.ec-chap.org for more information. Fall 2018 "First Sunday at The Mill Works"
Come join us on Sunday, October 7th, from Noon to 5:00pm for the Fall Season “First Sunday at The Mill Works” sponsored by the Eastern Connecticut Center for History, Art, and Performance (EC-CHAP)! Enjoy live performances in The Packing House; Preview Solo Show by EC-CHAP Resident Artist, Rebecca Zablocki - "AS IS"; Stroll through The Mill Works artist community open studios; and Explore the exhibits and activities in the Gardiner Hall Jr. Museum. Enjoy period refreshments typical of the mid 19th century and begin the Fall Season with us at this local historic landmark. 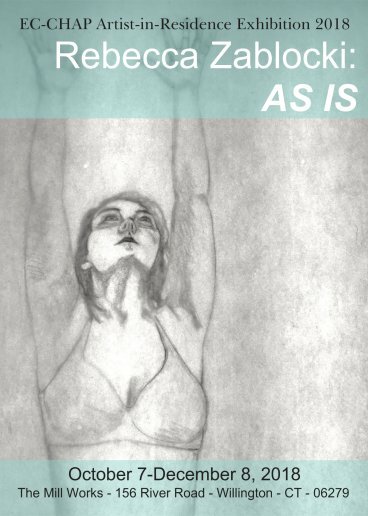 "AS IS", is a showcase of experimental work I’ve been making over this past year. AS is an acronym for one of my health issues Ankylosing Spondylitis and the work is all about dealing with chronic illness, pain and the other effects it has on people’s lives. Explore the Gardiner Hall Jr. Museum and play "trivia"games throughout the day. Learn about EC-CHAP membership opportunities, and how you can become a CHAP! All activities are free to the public. Deep Ellum is an acoustic duo named for the historic and notorious red-light, musical entertainment, and recording district in Dallas that is immortalized in Blind Lemon Jefferson’s classic “Deep Ellum Blues,” our theme song that we perform with a little different twist. 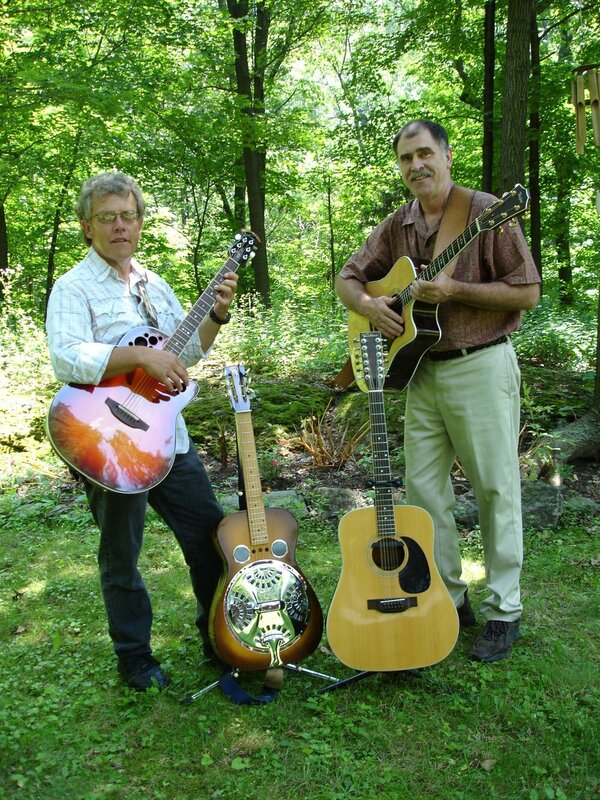 The Artisits: Rich Johnson is a talented guitarist who plays 6- and 12-string as well as Dobro (resophonic guitar) and sings harmony vocals. 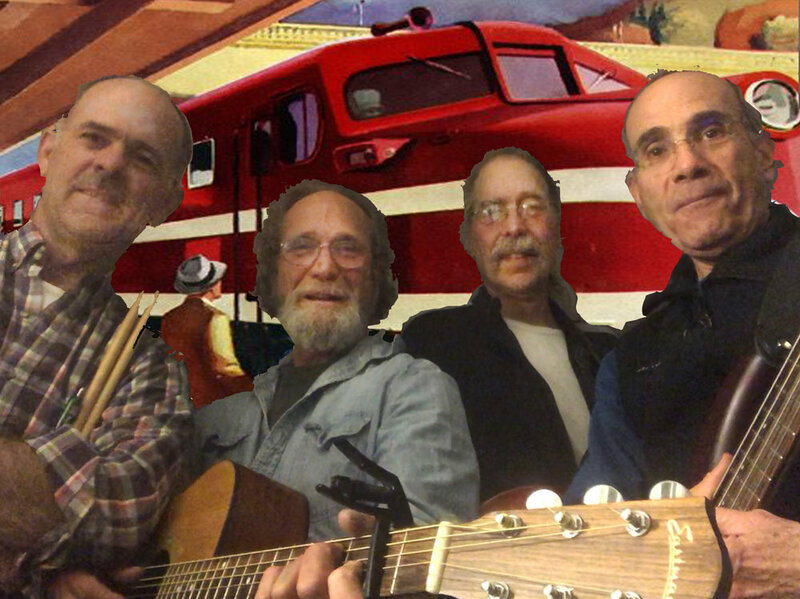 Rich is also familiar to Connecticut listeners as a fine electric guitar and lap steel player with the roots country band Lost Highway in years gone by, and he also currently plays Dobro with Horizon Blue. Jon Swift was a founding member of the popular acoustic bluegrass band Traver Hollow, playing upright bass and singing lead and harmony vocals for live audiences in the U.S., Canada, and Europe, as well as radio and TV shows, and his singing and guitar playing have been enjoyed in many Connecticut acoustic venues for years. Jon played electric bass and sang with Lost Highway, and he currently sings and plays upright bass with the duo BluesGrass as well as with the Lost Acres String Band. Carolyn discovered the dulcimer in 1980 when she saw Sally Rogers in concert at The Sounding Board in West Hartford. An accomplished folk guitarist at the time, she just couldn’t figure out what to do with this beautiful, sweet sounding instrument with so few strings. More than 30 years later, she found The Ct. Mountain Dulcimer Gathering, and was shocked at how easy the instrument is to play. She has been playing ever since, and loves the many voices of the dulcimer, playing roots, blues, classical, ethnic music, lullabies, as well as the music of contemporary musicians. As a performer, songwriter, teacher, and therapeutic musician, she is passionate about “spreading the dulcimer gospel”, taking great joy in introducing this beautiful original American folk instrument to others. EC-CHAP is proud to have this outstanding Connecticut musician join us for this First Sunday Dulcimer demonstration. We are looking forward to an ongoing collaboration in offering a series of Dulcimer workshops, clinics, and jam sessions as a part of EC-CHAP's musical instructional programming with this exceptional artist. “Fine Artoons” - Chris will provide a painting demonstration in which he will randomly select an actual doodle from his work notebook, and show his process of turning it from a fleeting idea into a real work of art. "Blind Contour Drawing with Oil Pastels" - Carol will provide an opportunity to practice drawing a still life with oil pastels and challenging your senses! 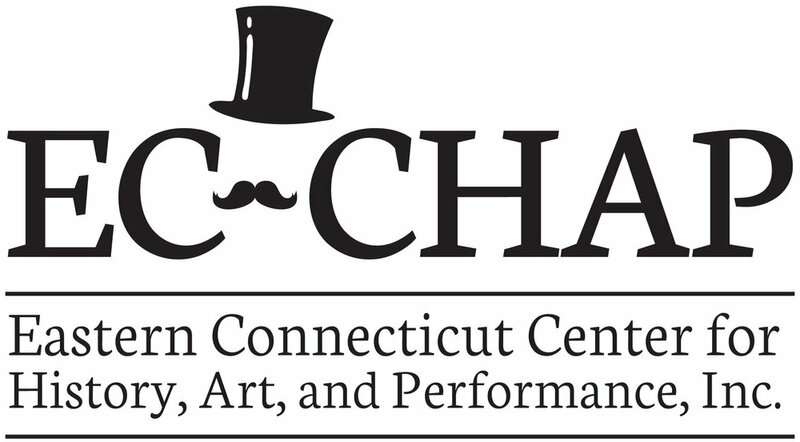 The EC-CHAP currently operates the Gardiner Hall Jr. Museum, an Artist in Residence (AIR) Program, and hosts an assortment of performances and events at The Packing House, all located at The Mill Works in Willington, CT. Plans are under review to develop a formal gallery space where the works of local, regional, and nationally known artists can be displayed. A variety of creative programs, workshops, classes, are also being planned as part of a unique educational exchange. Visit www.ec-chap.org for more information. Summer 2018 "First Sunday at The Mill Works"
Come join us on Sunday, June 3rd, from Noon to 5:00pm for the Summer Season “First Sunday at The Mill Works” sponsored by the Eastern Connecticut Center for History, Art, and Performance (EC-CHAP)! 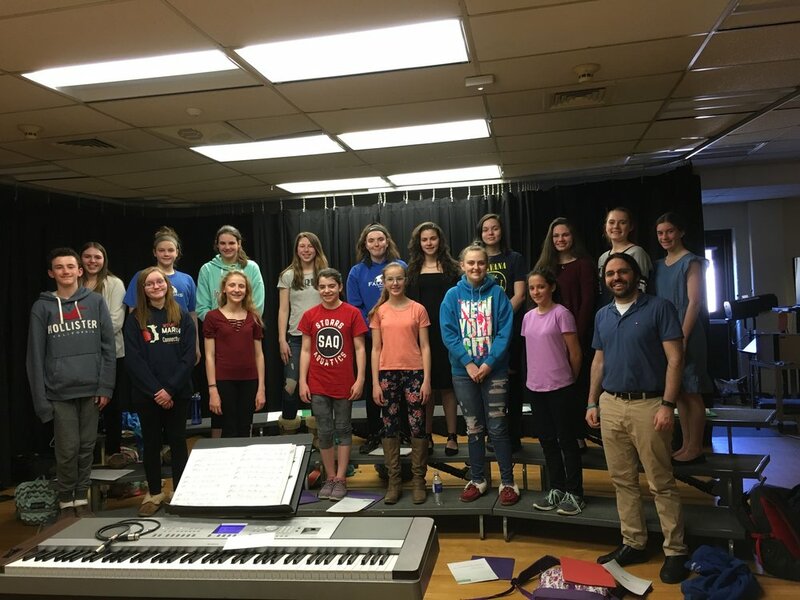 1:00pm - Hall Memorial School "Select Chorus" and "Falcon Treble Chorus"
Visit with EC-CHAP Resident Artist, Rebecca Zablocki; Stroll through The Mill Works artist community open studios; and explore the new "Availaflex" De-Vel-Op-Ment Visual Arts Exhibition Space. 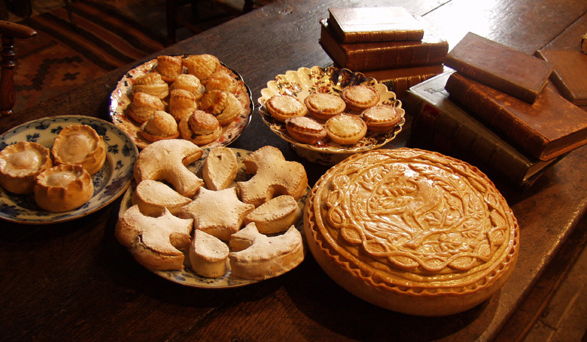 Enjoy period refreshments typical of the mid 19th century and begin the Summer Season with us at this local historic landmark. Rebecca Zablocki completed her Bachelor of Fine Arts degrees from the University of Hartford’s Hartford Art School in 2014. Rebecca, primarily a printmaker, is originally from Long Island, NY, and curently lives in Vernon, CT. Directly following graduation from the Hartford Art School, Rebecca returned to NY for a year where she worked in a gallery and art studio, teaching and managing the space. 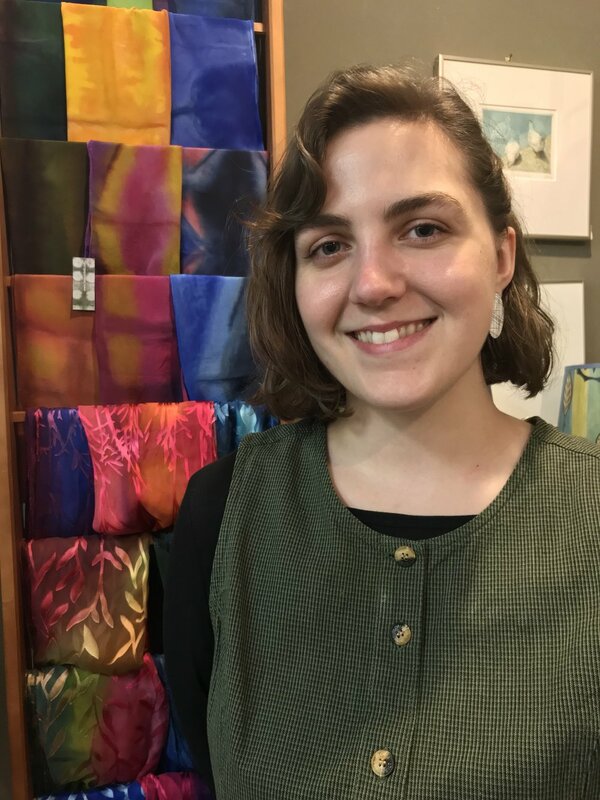 She then applied to work at the Worcester Center for Crafts, where she currently holds the position of Assistant Director of the Gallery and Gallery Store. The EC-CHAP currently operates the Gardiner Hall Jr. Museum and hosts an assortment of performances and events at The Packing House, both located at The Mill Works in Willington, CT. Plans are under review to develop a formal gallery space where the works of local, regional, and nationally known artists can be displayed. A variety of creative programs, workshops, classes, and artist in residence opportunities are also being planned as part of a unique educational exchange. Visit www.ec-chap.org for more information. Call 518-791-9474 in advance to sign-up (recommended), or sign-in at the door (time available). 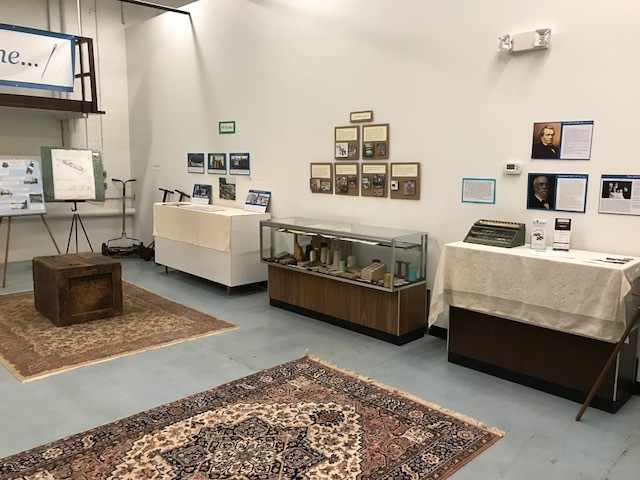 Join us for "Talent Showcase" at The Packing House hosted by the Eastern Connecticut Center for History, Art, and Performance (EC-CHAP). Open to the general public. Free admission / Donations accepted. Doors open 6:30pm / Show 7:00pm. Snacks and soft drinks available. "BYOB" - Beer and Wine only (I.D. Required). Join us for "Talent Showcase" at The Packing House hosted by the Eastern Connecticut Center for History, Art, and Performance (EC-CHAP). Open to the general public. Free admission / Donations accepted. Doors open 6:30pm / Show 7:00pm. Snacks and soft drinks available. "BYOB&F" (Beer and Wine ONLY - I.D. Required). Join us for "Talent Showcase" at The Packing House hosted by the Friends of The Mill Works. Open to the general public. Free admission / Donations accepted. Doors open 6:30pm / Show 7:00pm. Snacks and soft drinks available. "BYOB" - Beer and Wine only (I.D. Required). Come join us on Sunday, May 1st from Noon to 5:00pm for the Spring 2016 “First Sunday at The Mill Works”! We are Celebrating Poetry Month with a “Poetry Jam” throughout the afternoon! Highlights include: Poetry Readings scheduled throughout the afternoon by local student and adult poets. Attendees can also register to read and share their literary works. 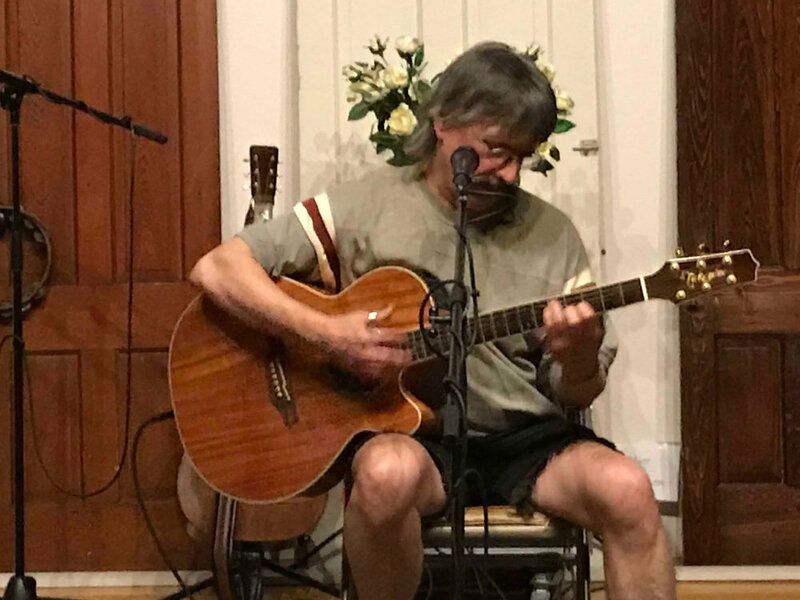 Steve Prout and Friends will provide a set of acoustic music, and resident artist Chris Gunderson will offer an ongoing activity through the day entitled, "Visualizing Verse" (Participants will choose to illustrate a poem or interpret a piece of art with words). Other activities include: Factory Tours; Open Artist Studios; and a visit to The Gardiner Hall Jr. Museum. Refreshments available. All activities are free to the public. For more information and a detailed description of activities and times, visit The Mill Works Events page at: www.themillworks.us/events.html, or call 518-791-9474. Check our website frequently for updates and new events!